Pack up this exclusive Kenzo TAKADA beach and pool towel when it's time for swimming and sunbathing. 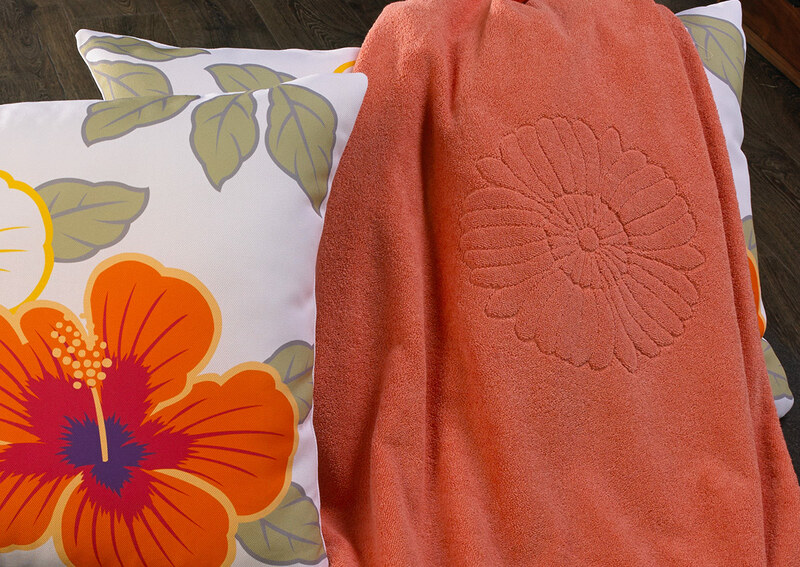 Inspired by the beautiful tropical flowers that bloom all over Mauritius, this generously sized towel for SO/ Sofitel is loomed from pure terry cotton in a cheerful orange hue and features a woven hibiscus at its center. Sit back, relax and enjoy the moment.